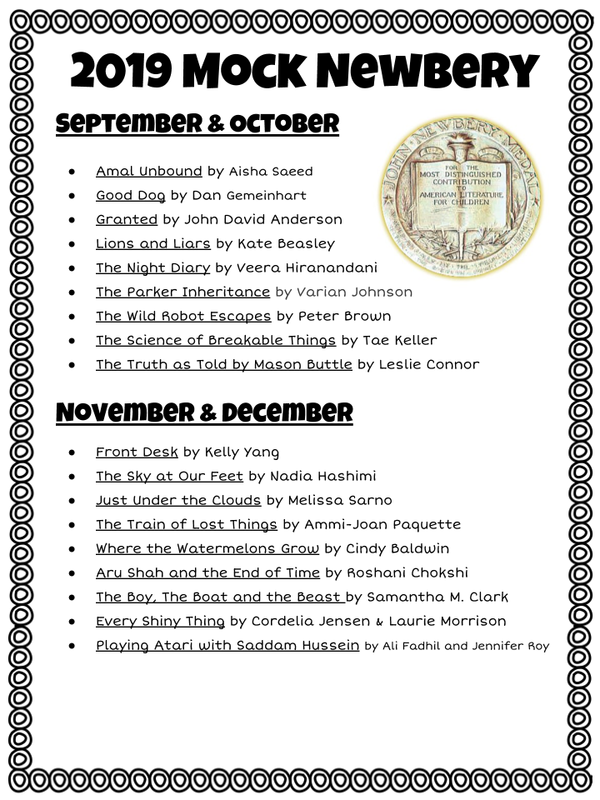 This year I was able to collaborate with three other amazing teachers in my building to come up with our Mock Newbery List for 2019. I'm currently working my way through the list and definitely have several favorites and a few books I can't wait to get my hands on... 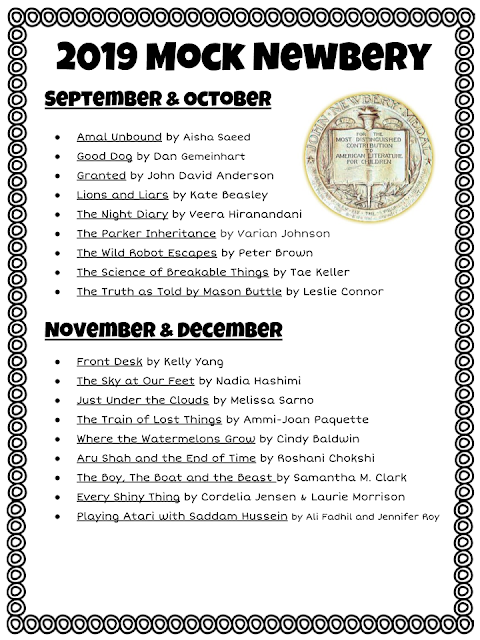 I'm always surprised by the winner and hopeful we've done a good job of choosing at least one book that will have a shiny sticker com 2019. However, there are so many wonderful contenders out there this year that its going to be an incredibly tough field!